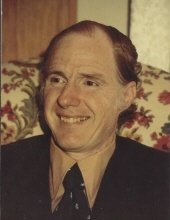 Celebrating the life of Gilbert LaRue Steiner Jr.
Obituary for Gilbert LaRue Steiner Jr.
Gilbert LaRue Steiner, Jr., 91, passed away on Wednesday, April 3, 2019. He was born June 18, 1927, in Mobile, AL to the late Gilbert LaRue Steiner, Sr. and Ada Evelyn Hough Steiner. Along with his parents, Gilbert was preceded in death by his son, Robert Lovelace Steiner and brother, Frank Henry Steiner. He is survived by his wife of 68 years, Augusta Hopkins Bartran Steiner; daughter-in-law, Helen Holifield Steiner; grandchildren, Anastasia Steiner (Jimmy) Hall, Melanie Steiner (George) Foster, Robert Earl Steiner, and Joshua Caleb (Brittany) Steiner; mother of his grandchildren, Leslie Cowan Steiner; great-grandchildren, Kayla (Cameron) Holloman, Olivia Grace Foster, George Timothy Foster, Jr. , Cameron Joshua Steiner, and Emmy-Hart Steiner; brother, William Martin (Phyllis) Steiner; sister, Mary Lou (Larry) Landry; sister-in-law, Juanita Collins Steiner; great-great-granchildren, Ellen-Grace Holloman and Anastasia Rose Holloman; along with many nieces, nephews, cousins, and friends. Gilbert married the love of his life, Augusta, in 1951 and lived with her and his family in Jackson County, MS since 1958. He earned a B. S. degree in Chemistry from Auburn University in 1948, and a M. S. in Chemistry at Georgia Tech in 1957. He always worked in chemistry laboratories in various industries, the last one at International Paper in Moss Point, MS. He was a born-again, spirit-filled Christian and member of the Abundant Life Christian Center since its founding in 1996. The visitation will be held on Saturday, April 6, 2019 from 2:00 p.m. until 3:00 p.m. at Abundant Life Christian Center, 2550 Indian Point Parkway, Gautier, MS. The funeral service will immediately follow at the church beginning at 3 p.m. In lieu of flowers, family requests donations be made to Volunteers in Medicine – Gautier, 2550 Indian Point Parkway, Gautier, MS 39553. To send flowers or a remembrance gift to the family of Gilbert LaRue Steiner Jr., please visit our Tribute Store. "Email Address" would like to share the life celebration of Gilbert LaRue Steiner Jr.. Click on the "link" to go to share a favorite memory or leave a condolence message for the family.